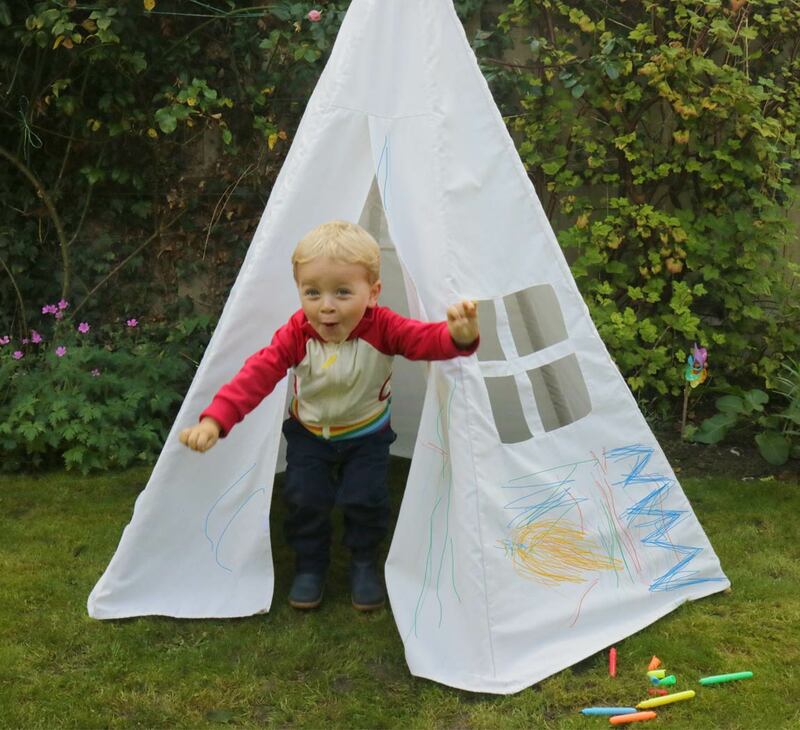 Colour your own playhouse teepee time and time again. 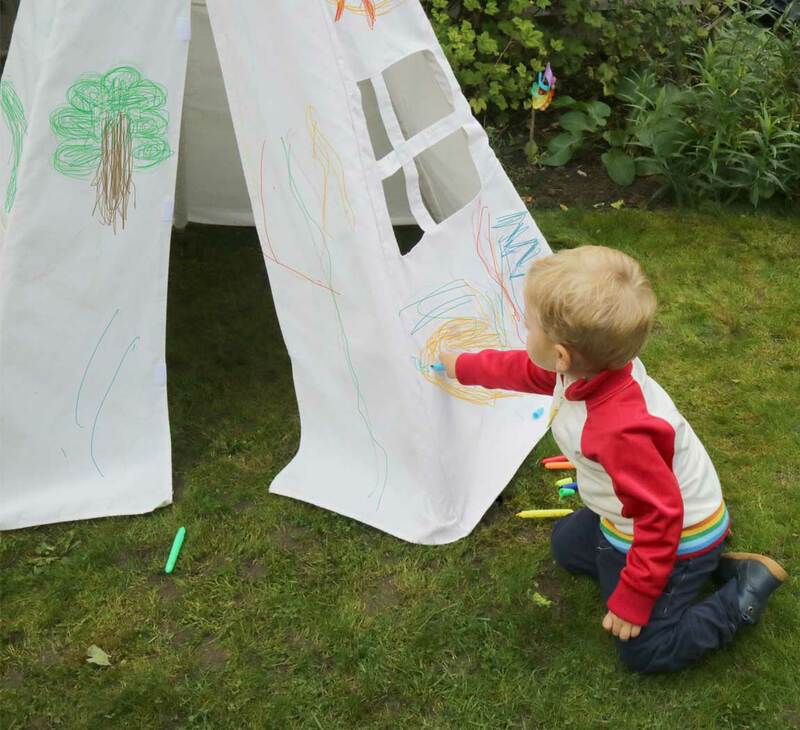 With a set of 8 wash-out fabric pens and machine washable 100% cotton canvas, children can explore their creativity and colour in their playhouse teepee canvas. Simply draw-on and wash-out, there's lots of scope for little artists to create new imaginary play worlds. The set of chunky fabric pens are easy for little hands to use and the thick tips are perfect for colouring in large areas. 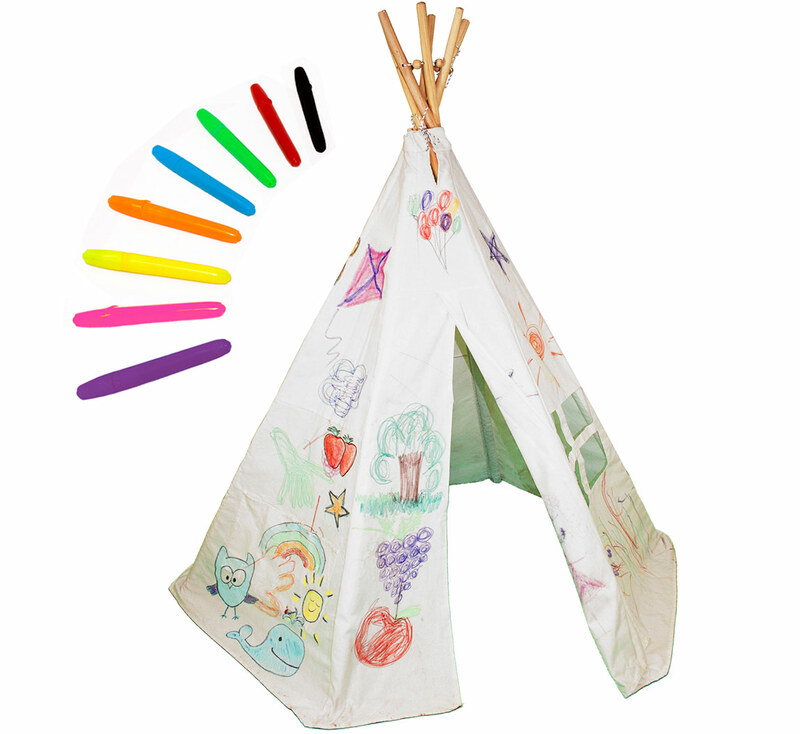 The large pocket keeps the pens tidy and is also ideal for collecting storybooks after using the teepee as a cosy reading den. 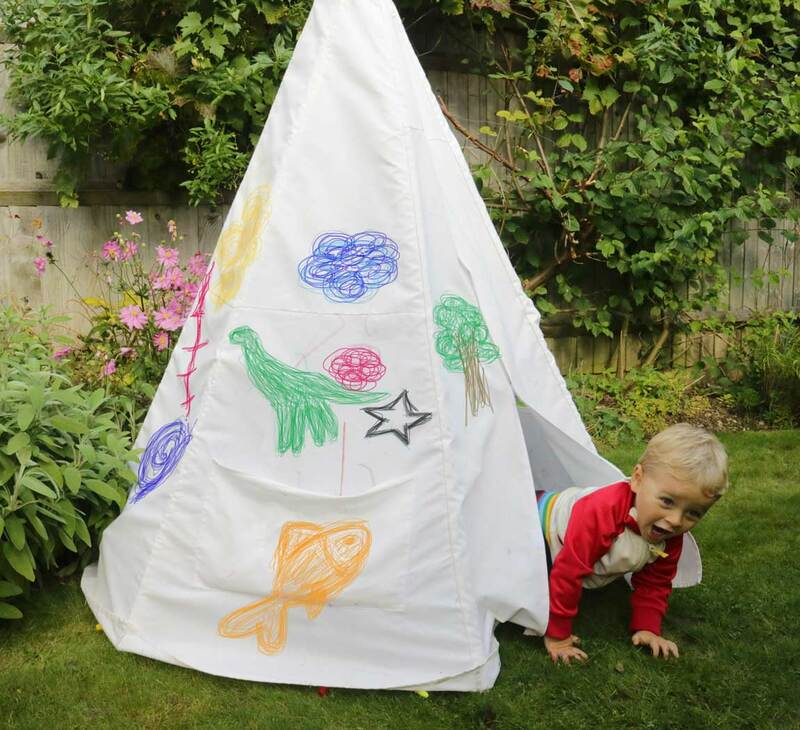 This DIY colour in playhouse teepee includes strong wooden poles to keep it sturdy while drawing and playing, and they simply slide out of the canvas ready to wash. The wooden poles slot through tight elastic loops in the canvas and sit in deep fabric pockets at the bottom, keeping the canvas secured to the frame. With the whole canvas ready to decorate, there's lots of space for friends to explore their artistic skills together, and there's plenty of room inside to play with toys and enjoy their adventures. 100% cotton canvas is machine washable so once the masterpiece is finished, they can start decorating all over again!